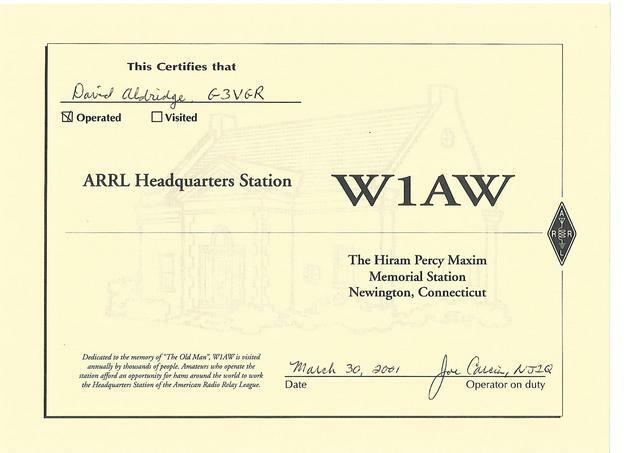 When I was a young Short Wave Listener, I used to visit the shack of Jack Wakeman, G4FN. 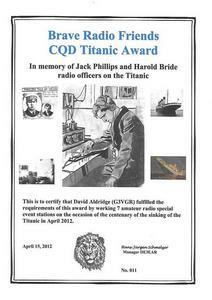 Jack was a FOC member and worked much DX on HF CW. 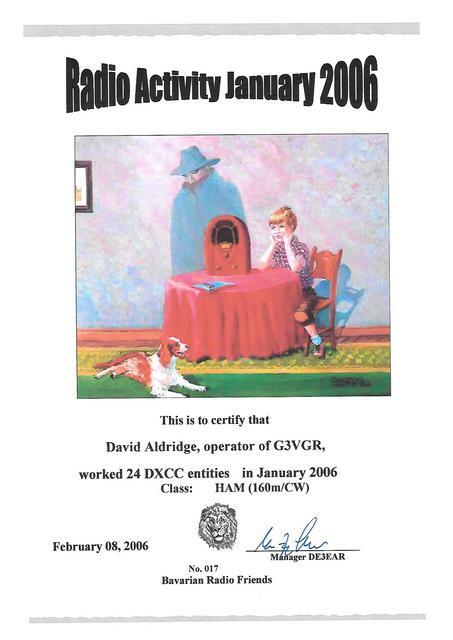 The wall of his shack behind the rig was adorned by framed radio operating awards. 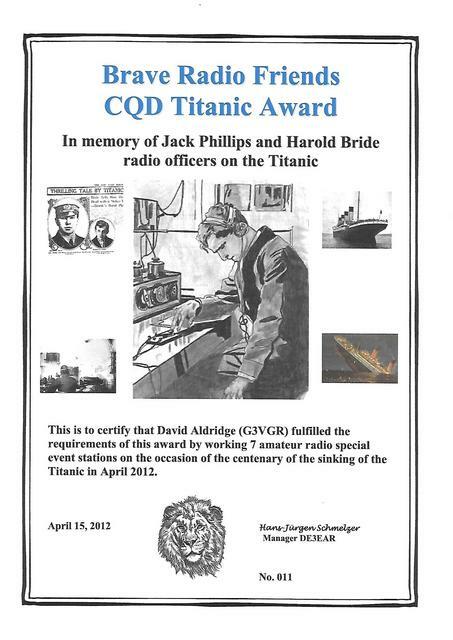 This quite fascinated me and I always wanted to achieve some operating awards myself after getting licensed. 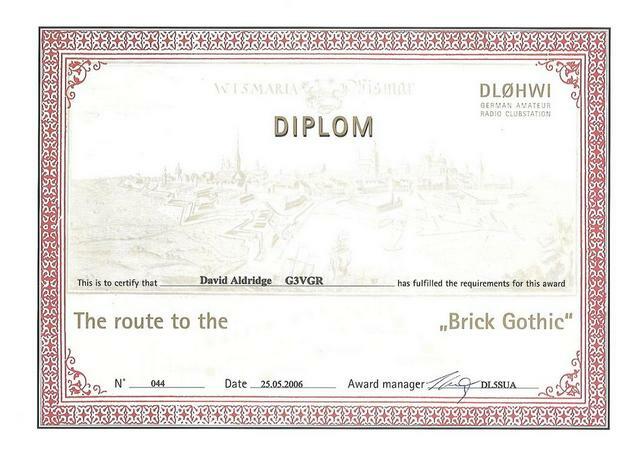 I found award chasing to be a lengthy process. 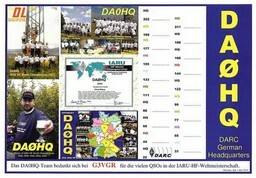 Firstly, one needs to work the required stations and wait for the QSLs to arrive that confirmed the contacts. 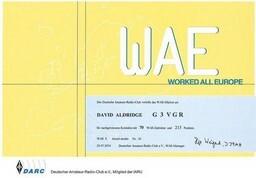 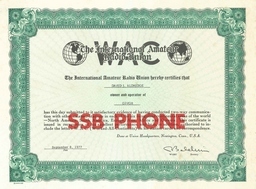 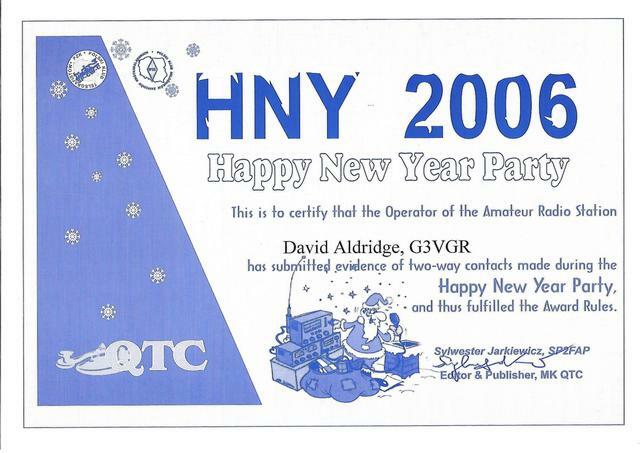 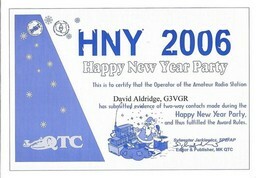 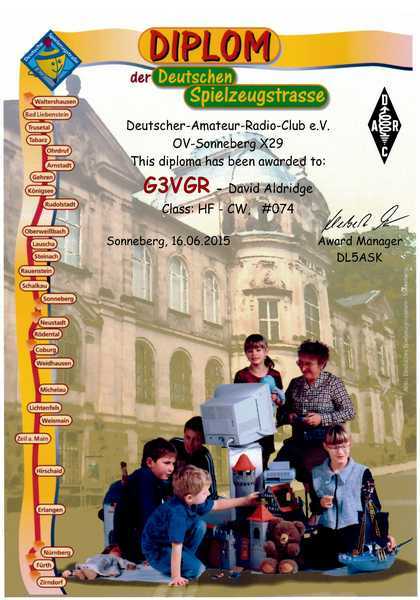 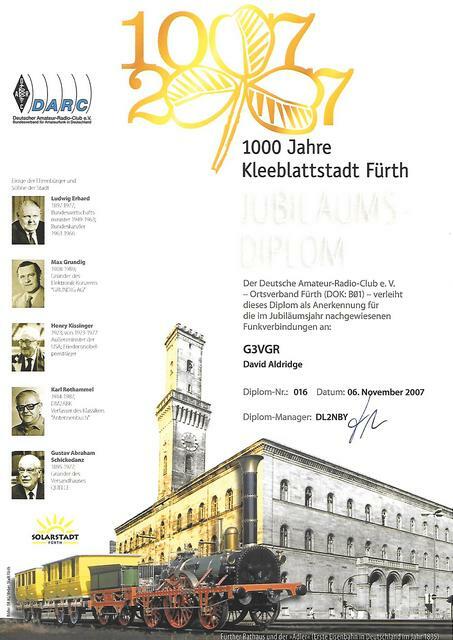 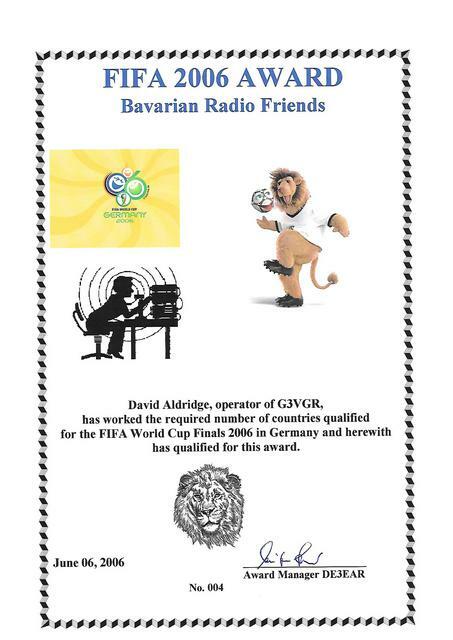 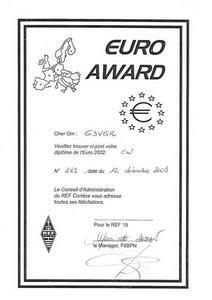 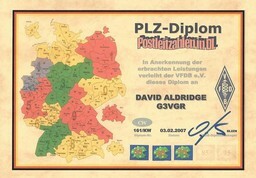 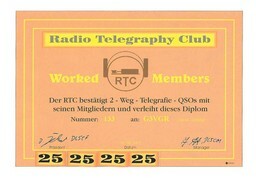 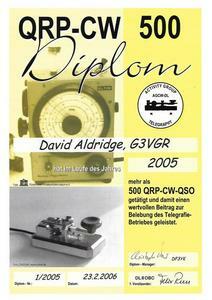 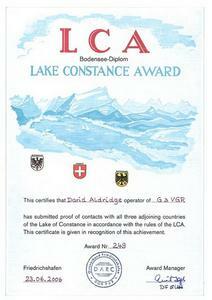 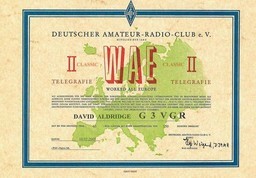 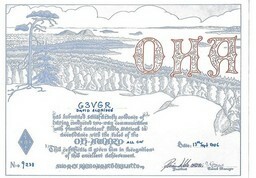 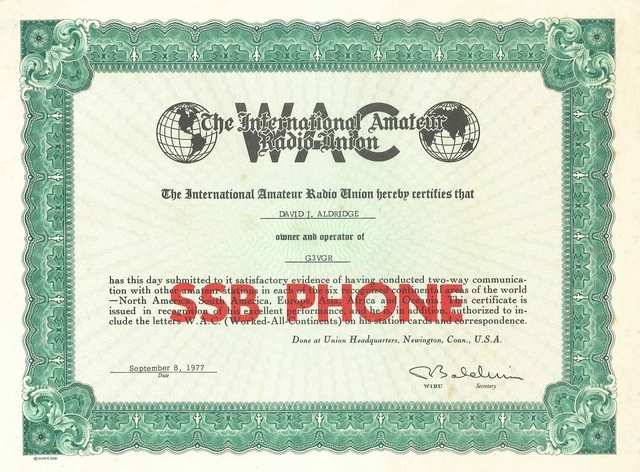 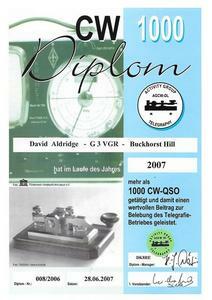 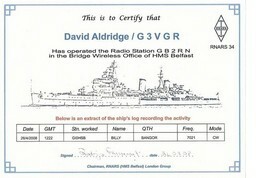 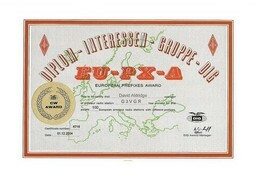 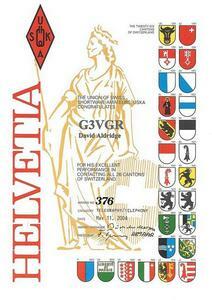 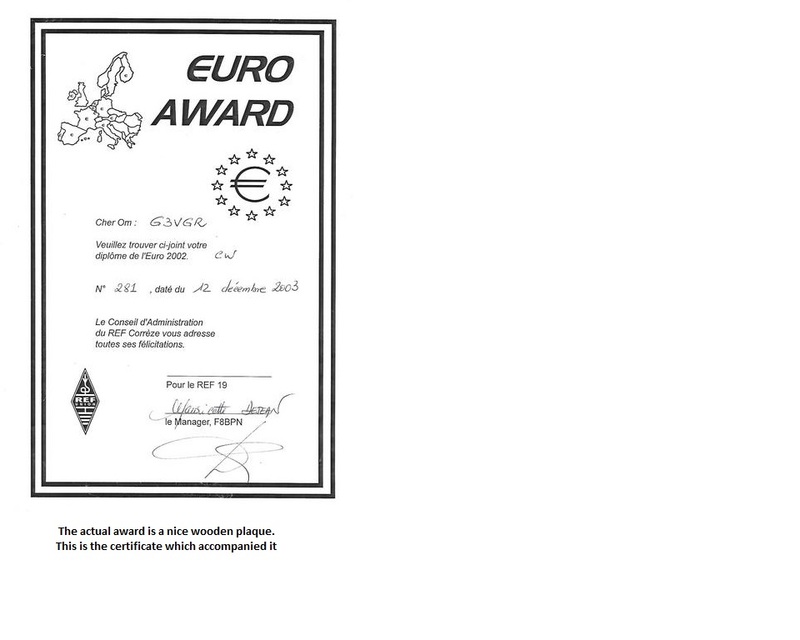 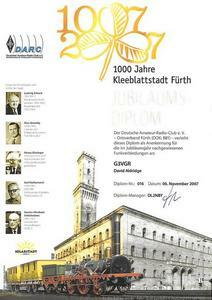 Many awards require QSLs to be sent with the application. 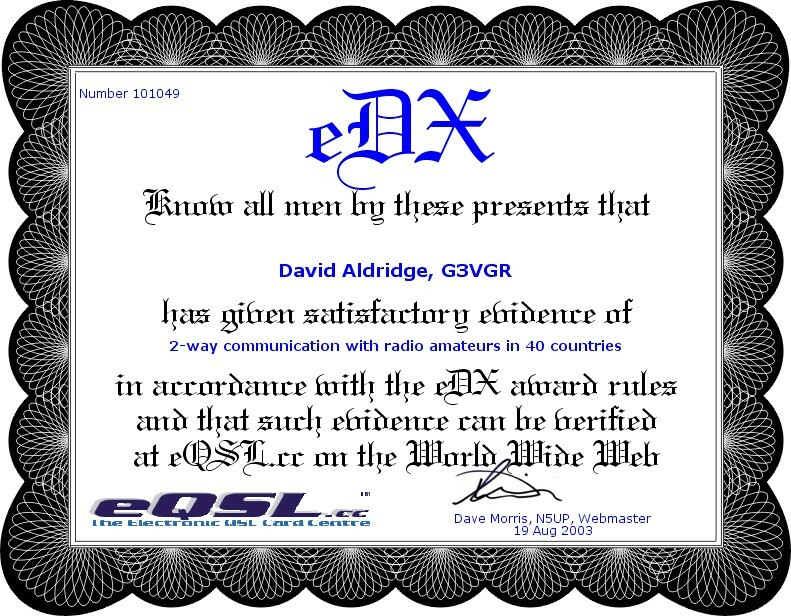 This was necessary when I applied to the ARRL for DXCC. 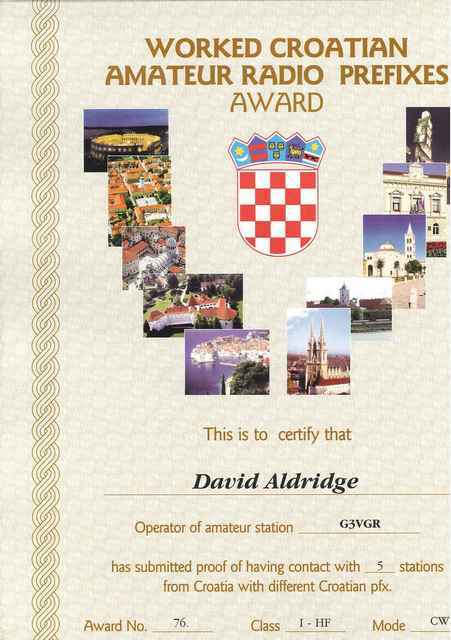 The cost of posting 100+ QSLs to the USA and paying for the return postage of the cards makes obtaining the award quite expensive. 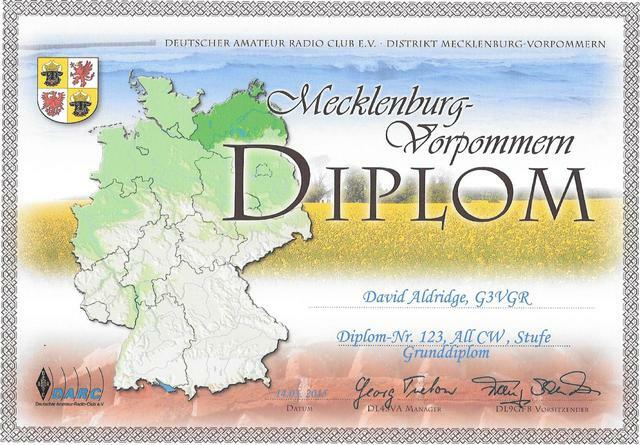 I was also worried about the cards being lost in the mail on their way to ARRL HQ, so waited until I made a business trip to the US and was able to deliver the cards myself. 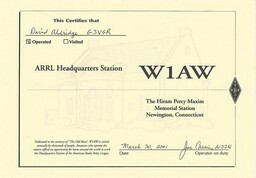 Fortunately, my company's HQ was only about 35 miles from Newington. 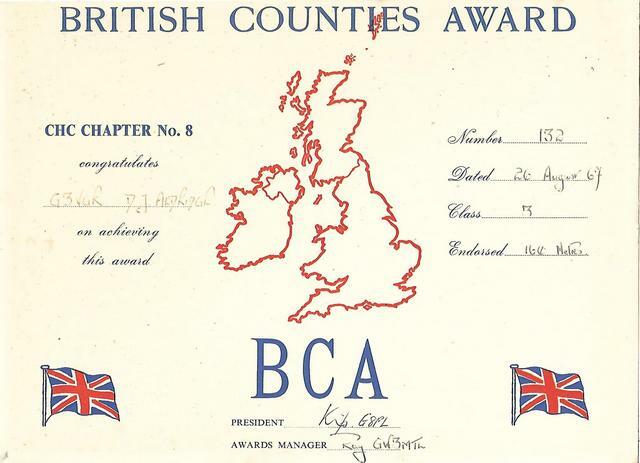 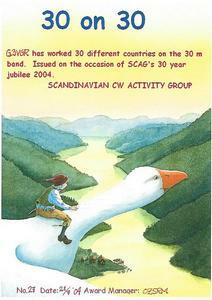 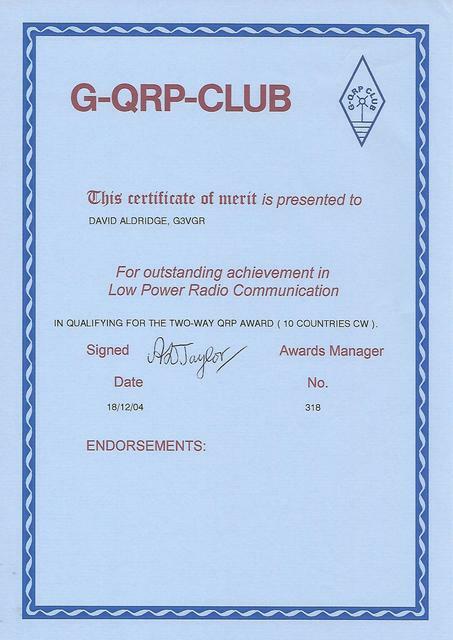 Some awards allow QSL cards to be checked locally by the country Awards Manager, in my case the RSGB Awards Manager. 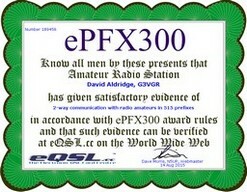 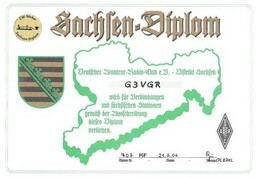 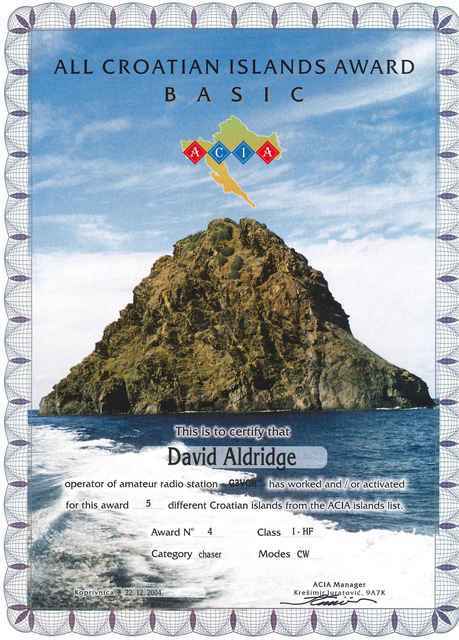 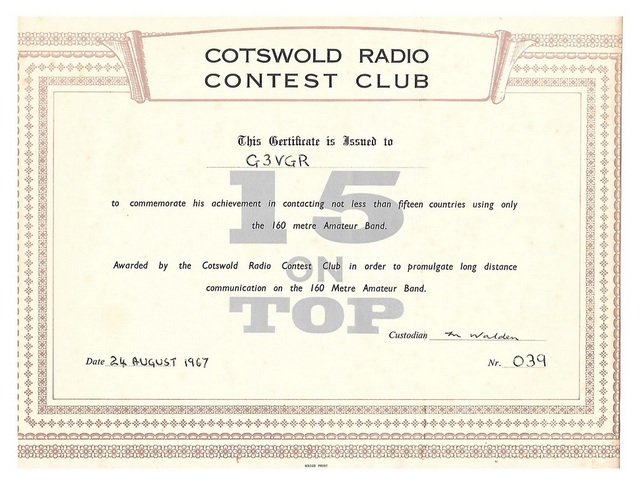 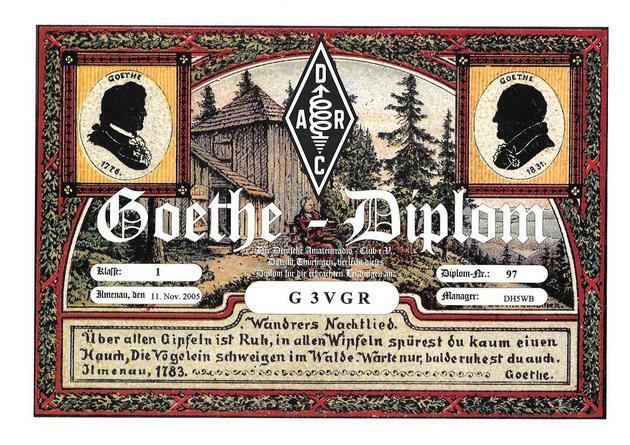 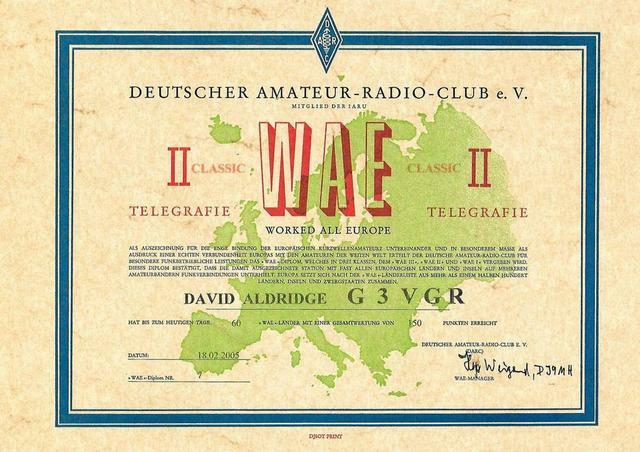 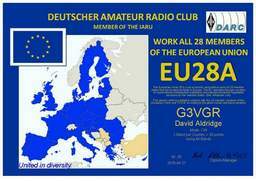 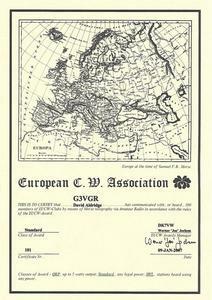 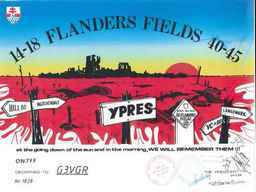 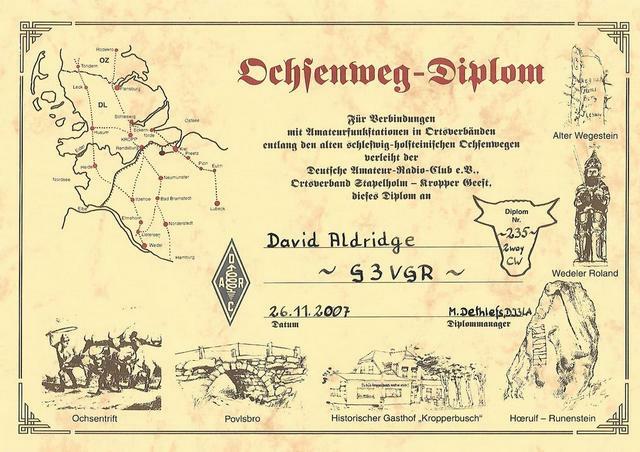 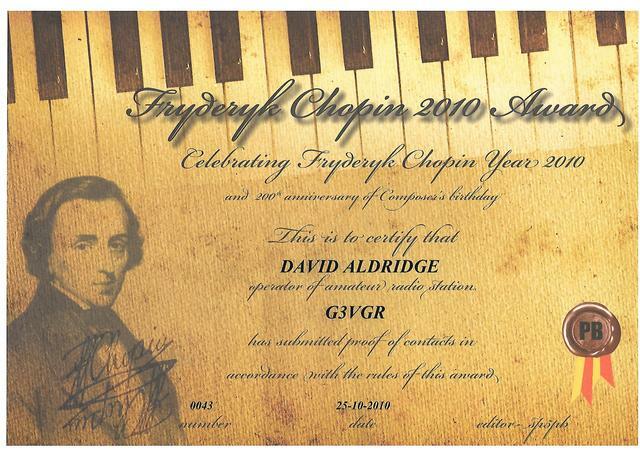 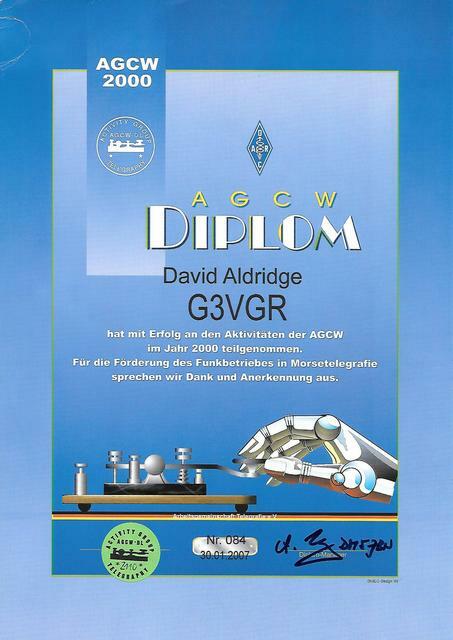 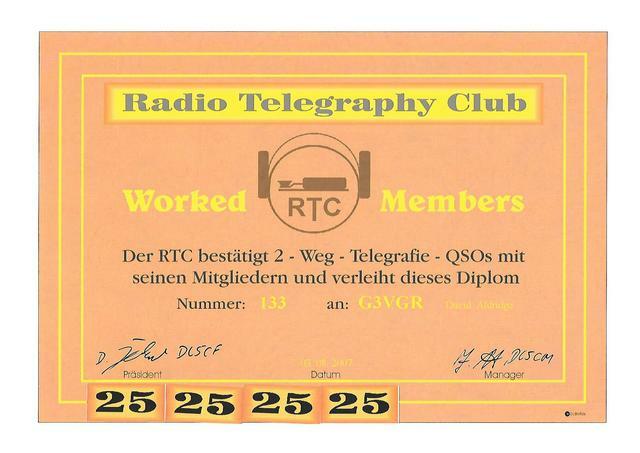 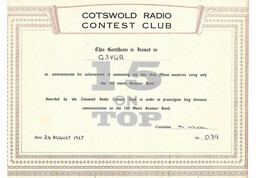 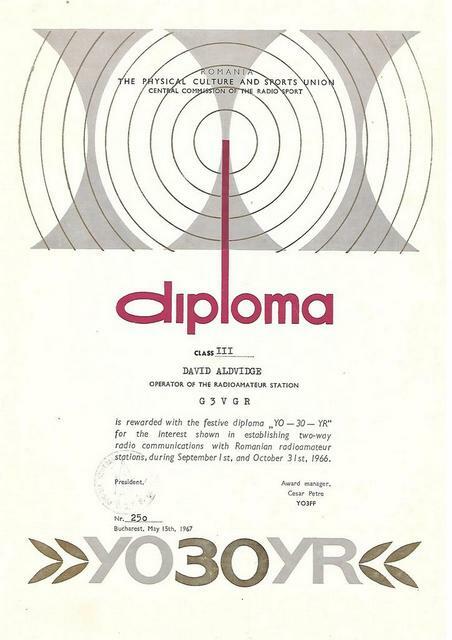 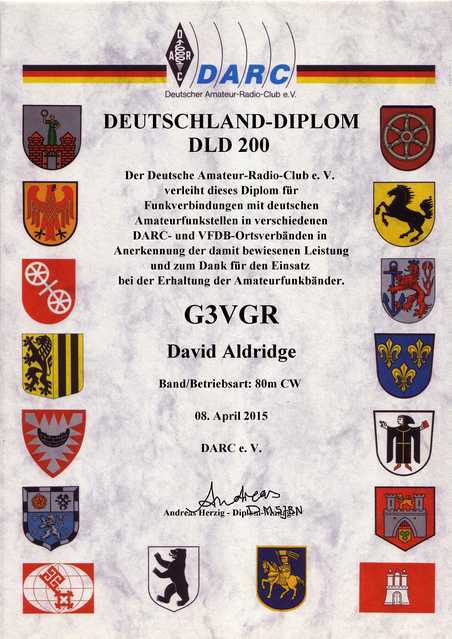 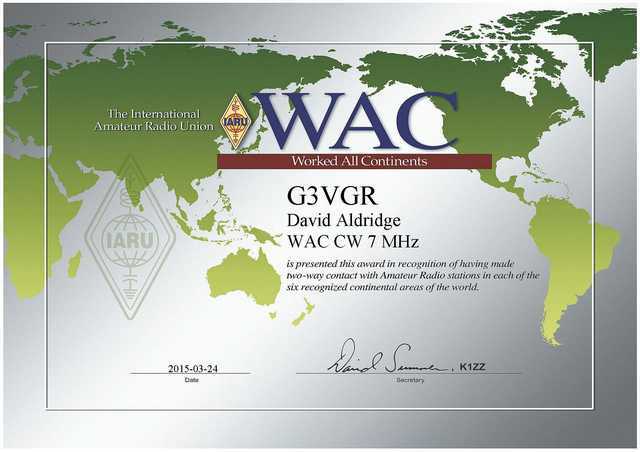 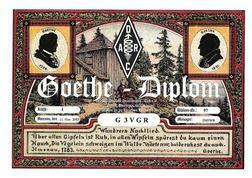 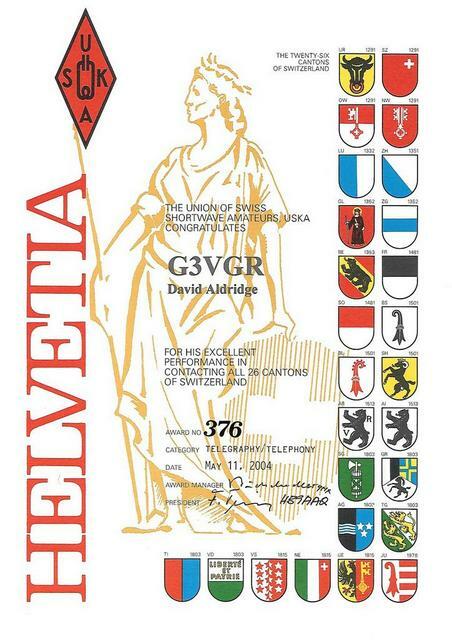 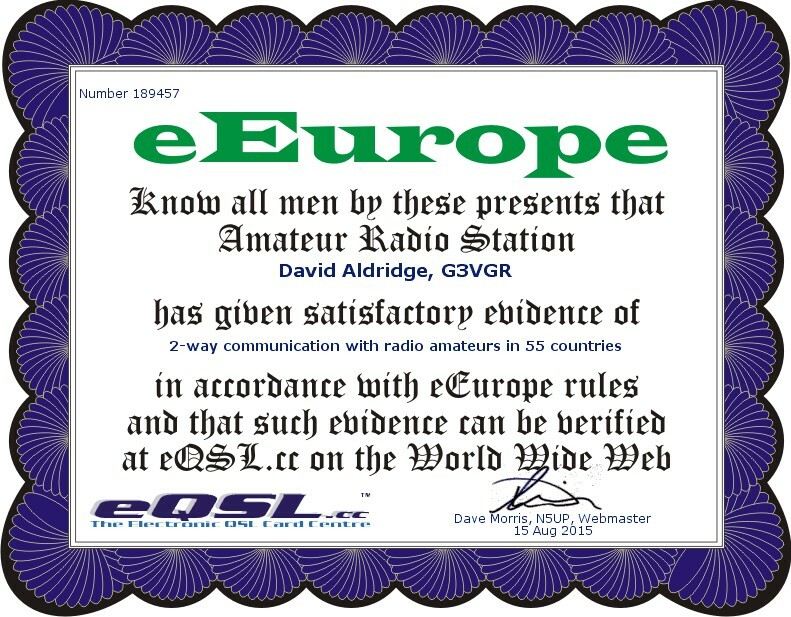 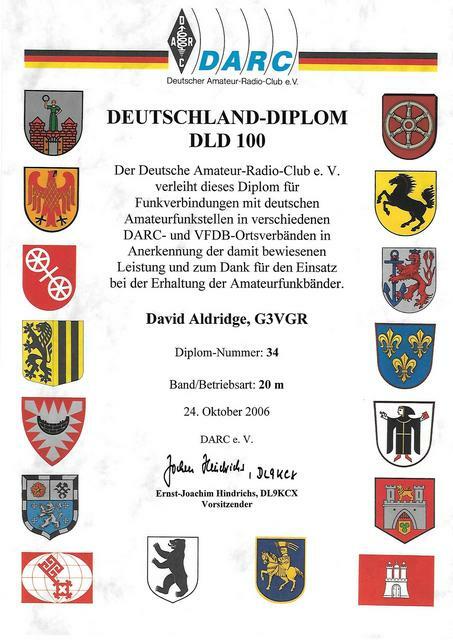 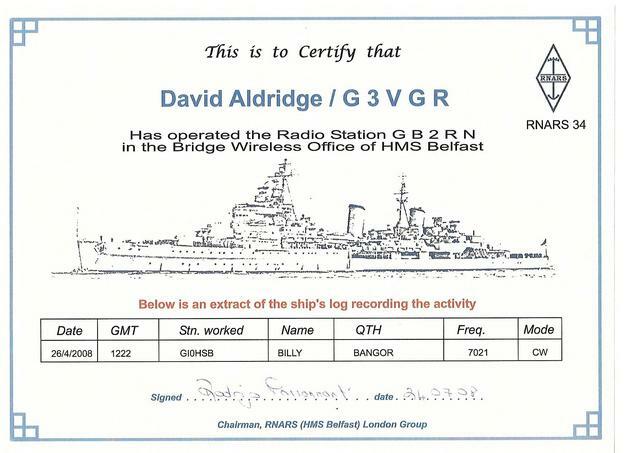 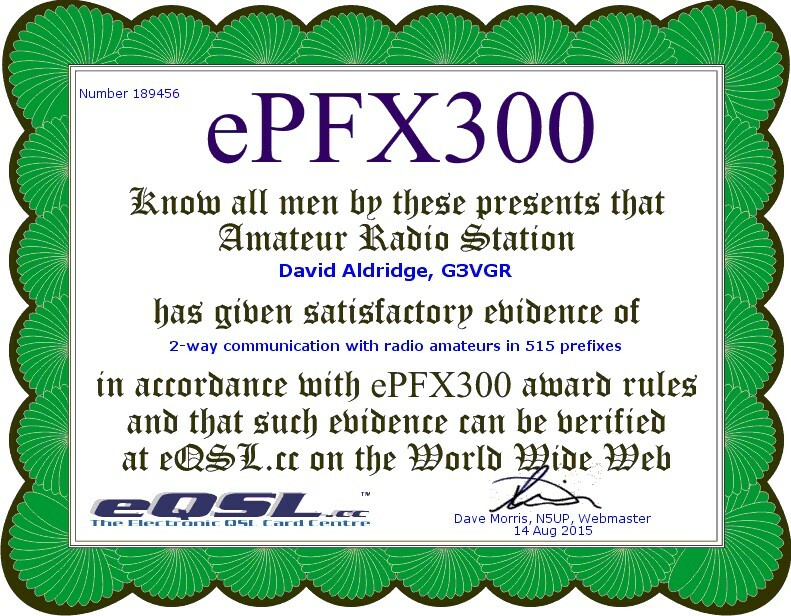 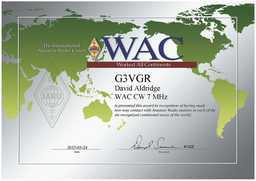 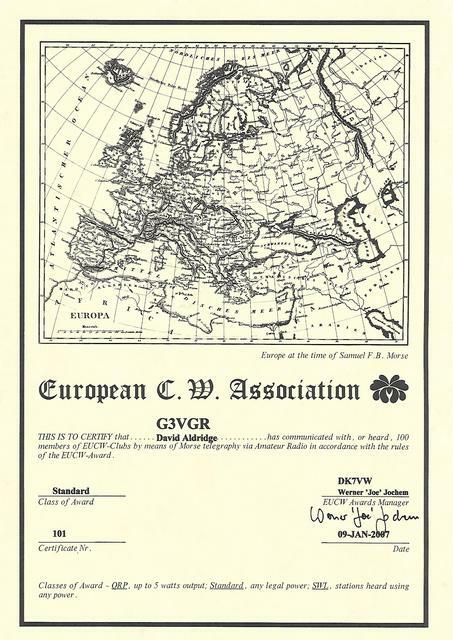 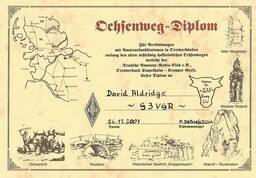 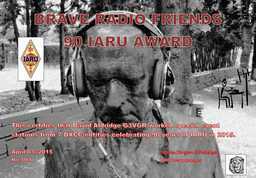 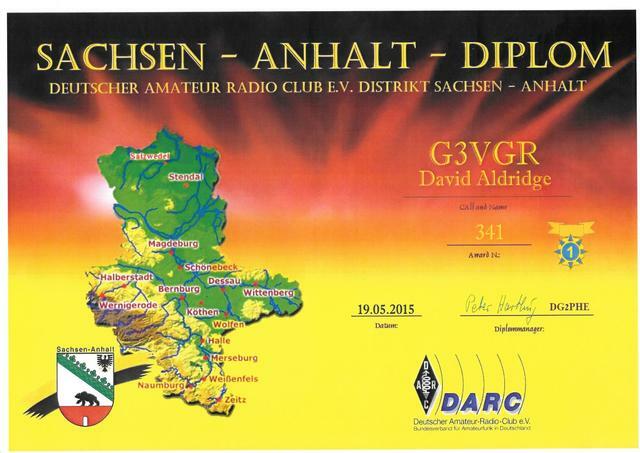 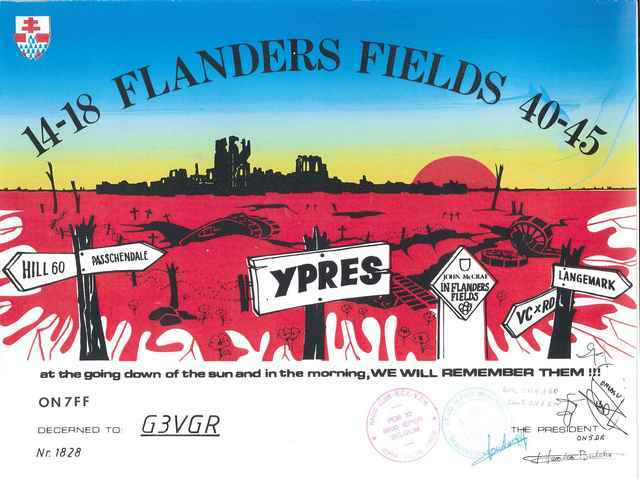 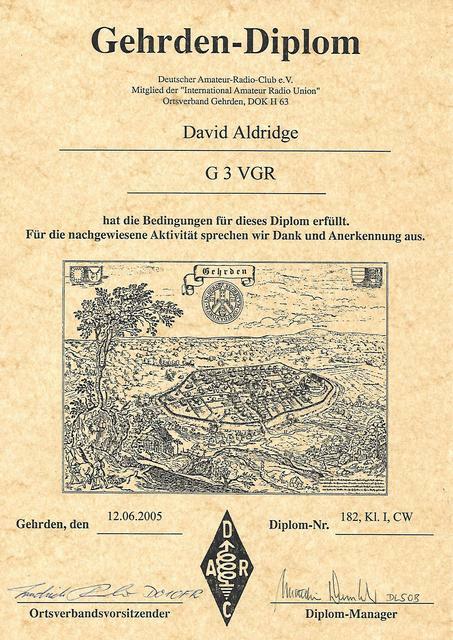 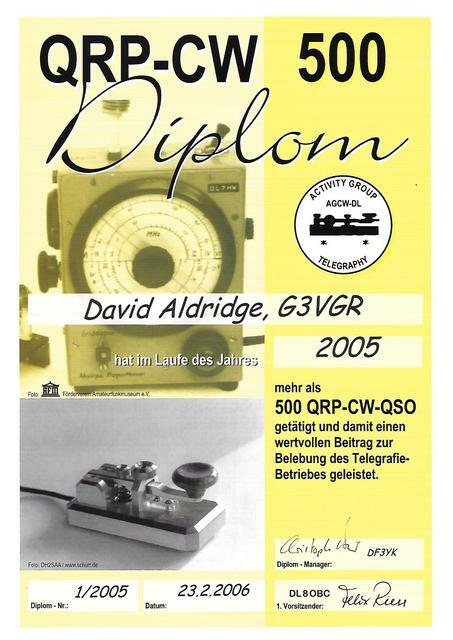 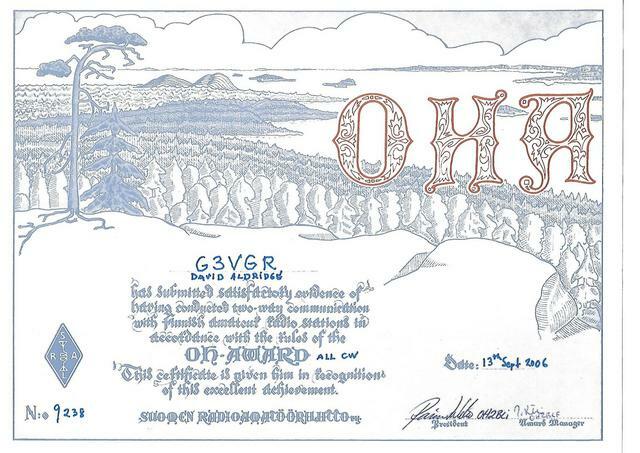 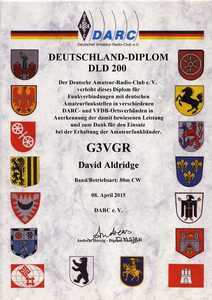 Many other awards accept a "GCR List", which is a written application countersigned by two other Amateurs verifying the applicant has the required QSLs. 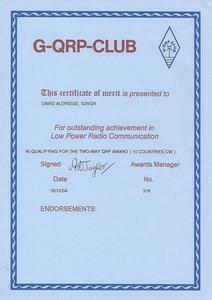 LEFARS committee members have signed quite a few GCR lists for me on a Sunday evening at the Robin Hood. 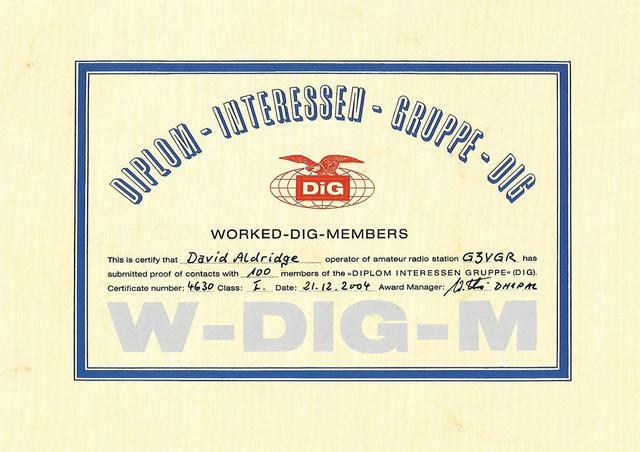 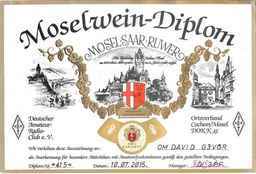 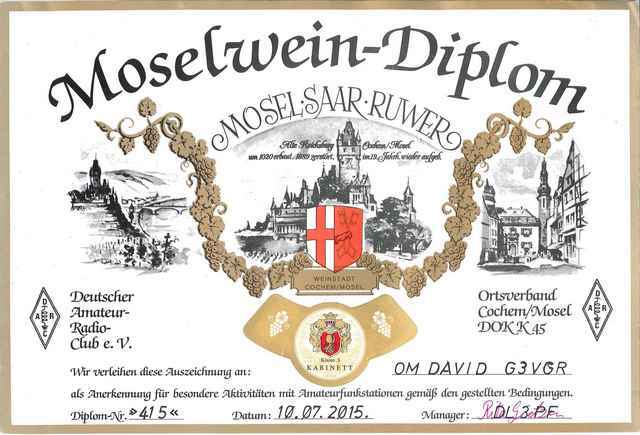 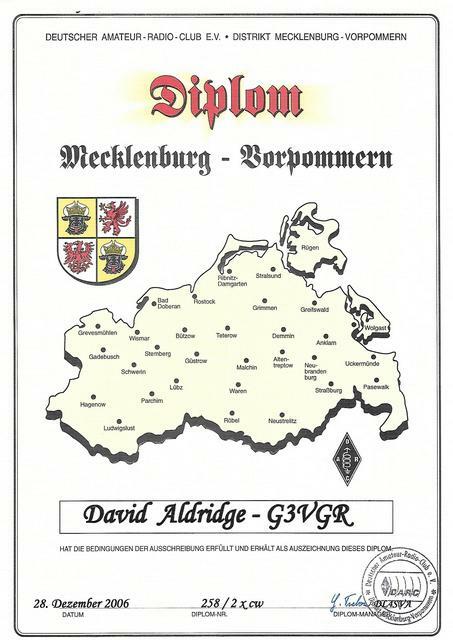 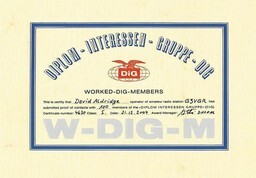 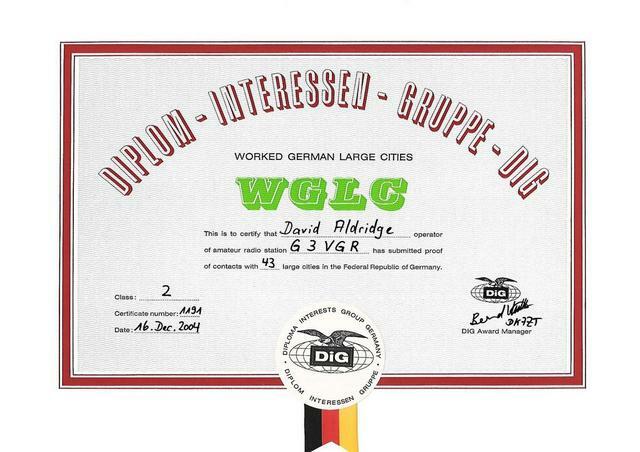 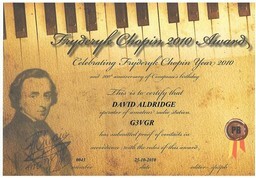 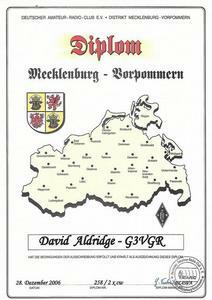 As my collection of awards grew, I joined the Diplom Interessen Gruppe after collecting three of their awards. 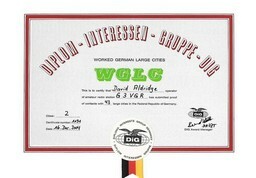 I tend to specialize in collecting German awards. 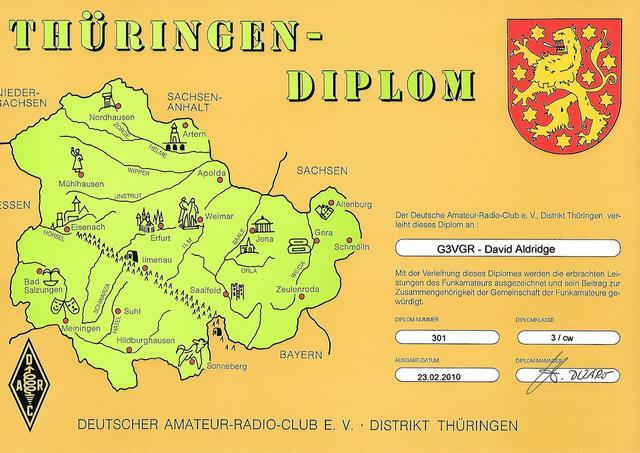 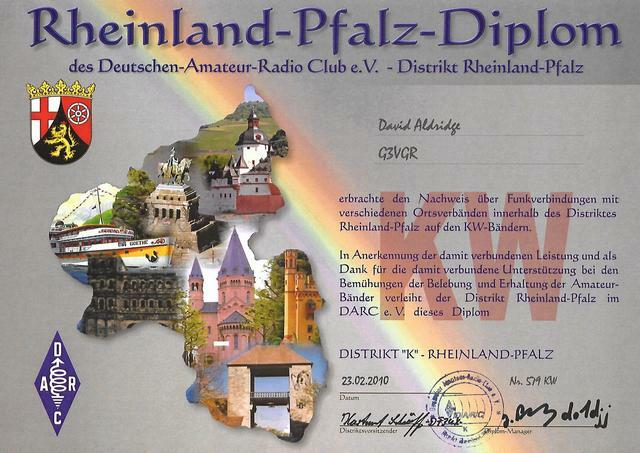 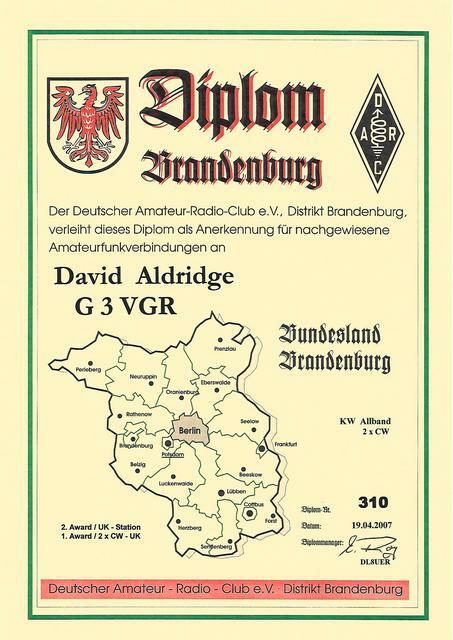 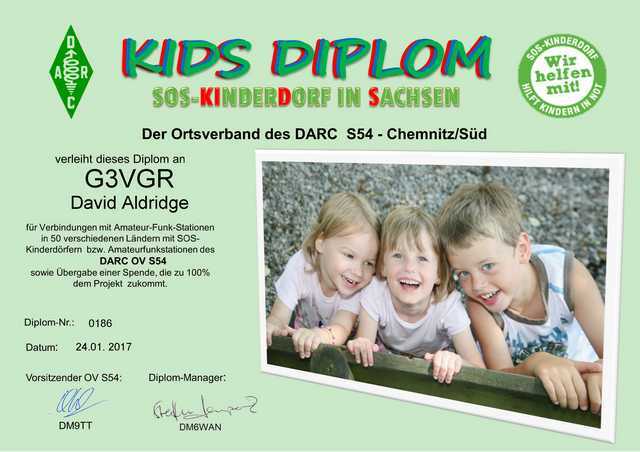 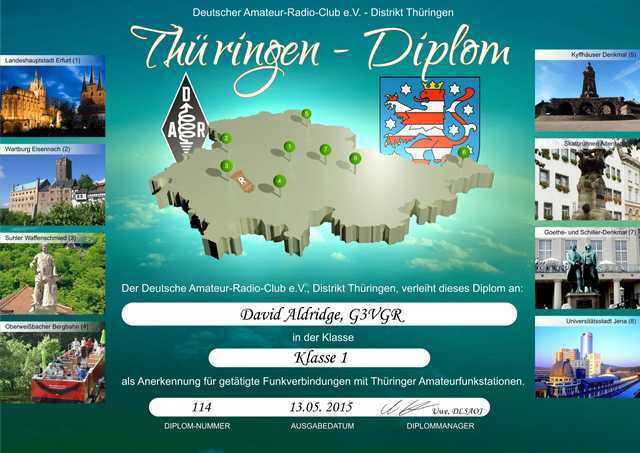 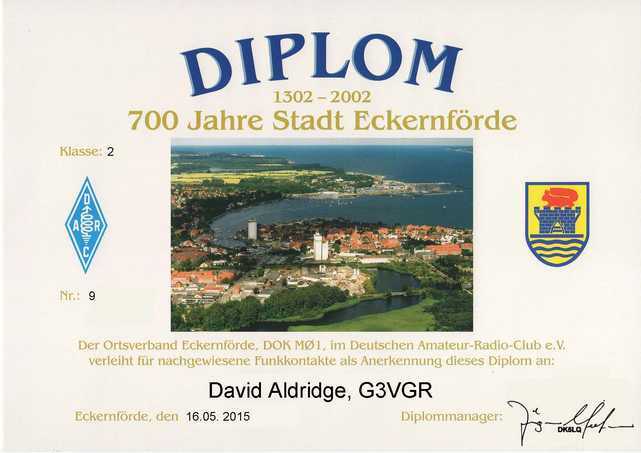 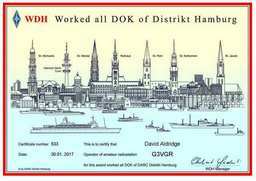 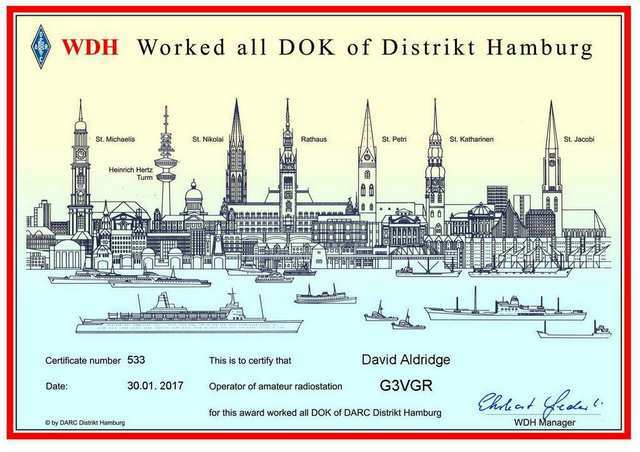 This started because I have a large amount of QSLs from Germany, many received after regularly operating in the Worked All Germany contest. 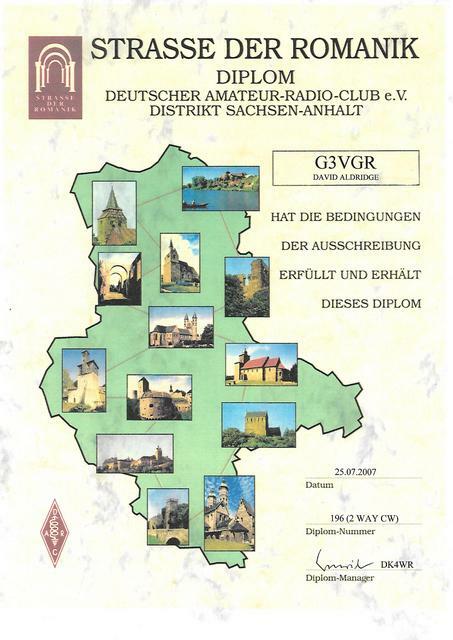 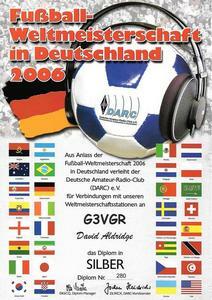 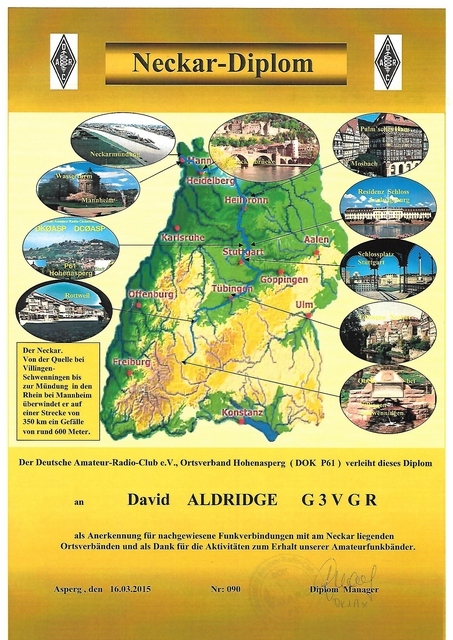 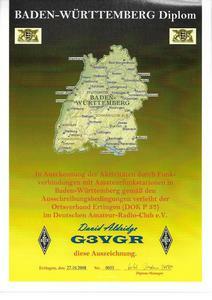 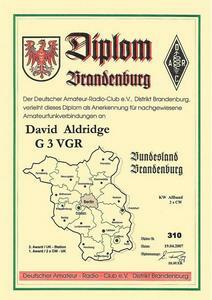 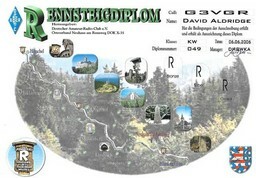 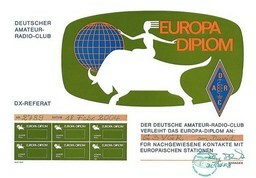 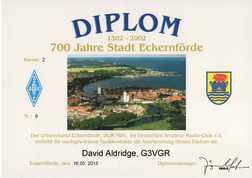 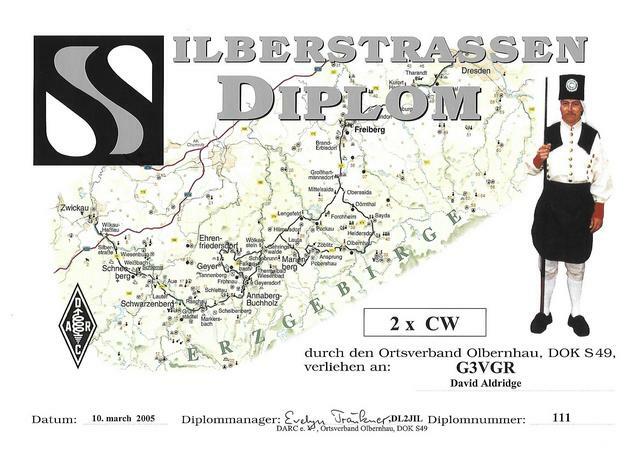 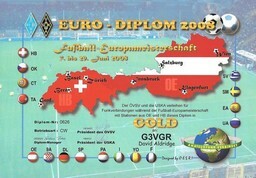 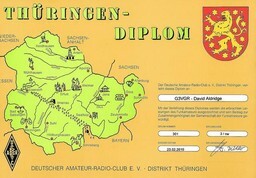 German amateurs seem to be the most prolific QSL'ers, so plenty of QSLs arrive at frequent intervals. 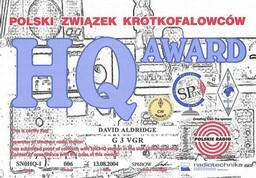 Since the advent of electronic QSLs, award chasing has become less tedious. In 2003, the ARRL started their "Logbook of the World" (LotW) and after a slow takeup, now has around 65,000 users. 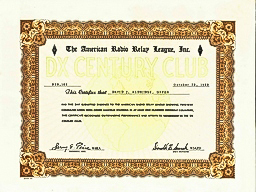 LotW provides an easier way to work towards the ARRL awards. 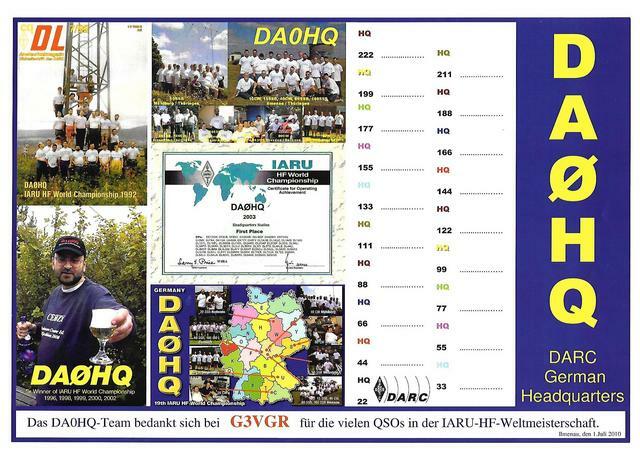 The DARC introduced their DARC Contest Logbook in 2002, which analyzed contest logs and provided QSO confirmations. 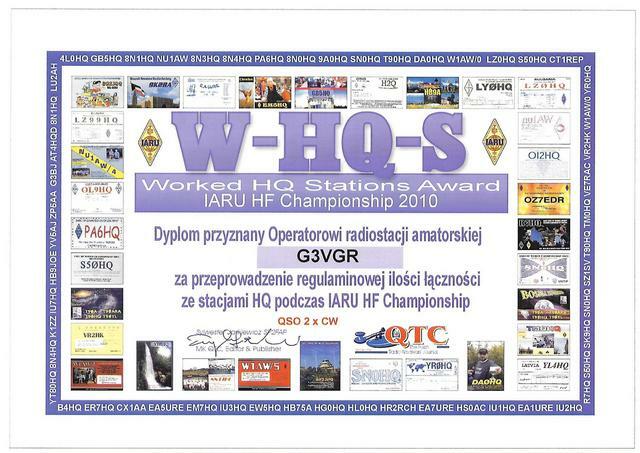 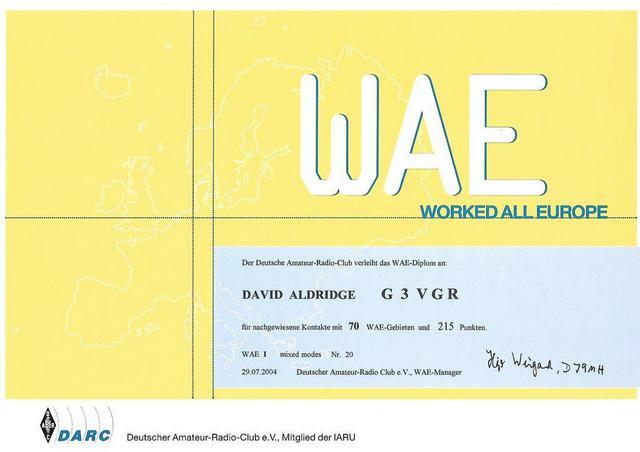 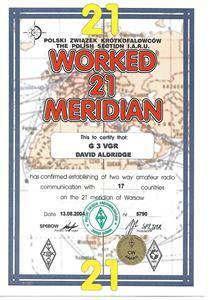 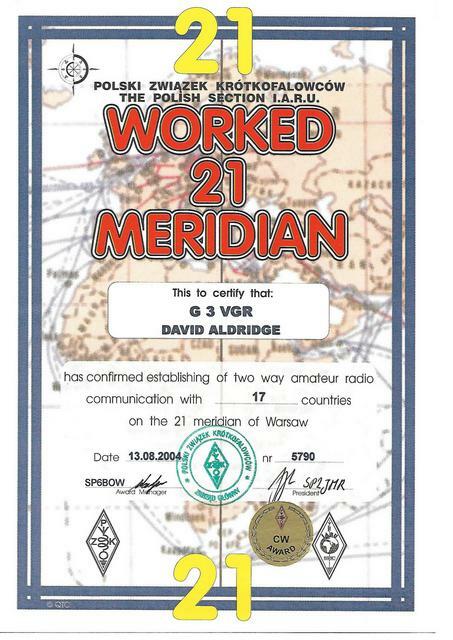 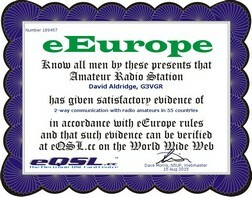 This system was recently enhanced by allowing the import of LotW and eQSL logs. 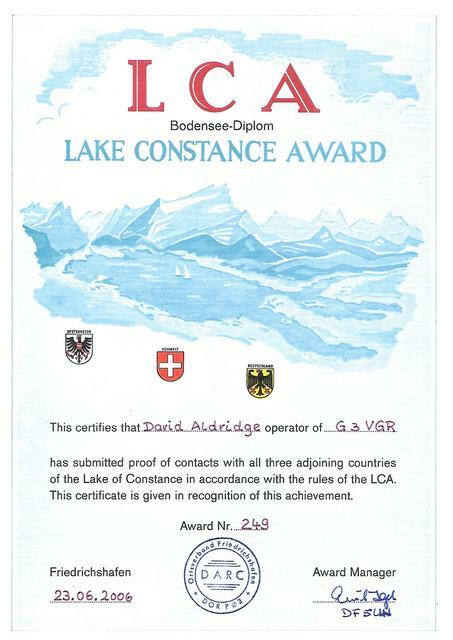 Many awards can now be tracked and applied for using DCL, one just needs to enrol in the programme. 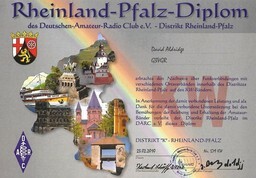 I've already used DCL to obtain 7 awards. 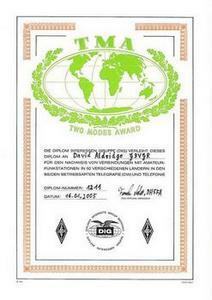 There are literally hundreds of operating awards of varying degrees of difficulty available around the world. 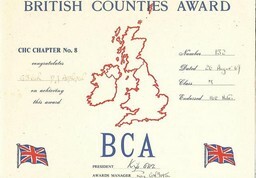 As well as the permanent awards, mainly sponsored by national societies, many short-term awards also come and go. 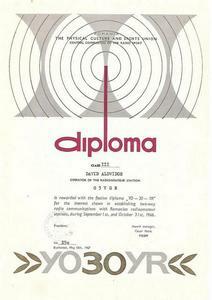 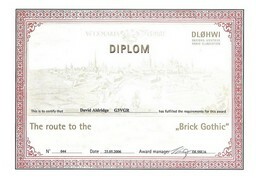 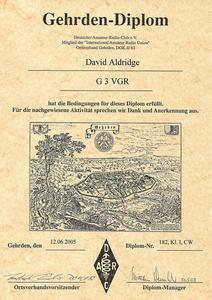 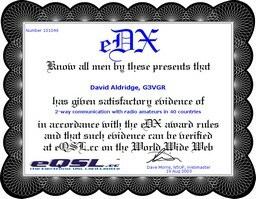 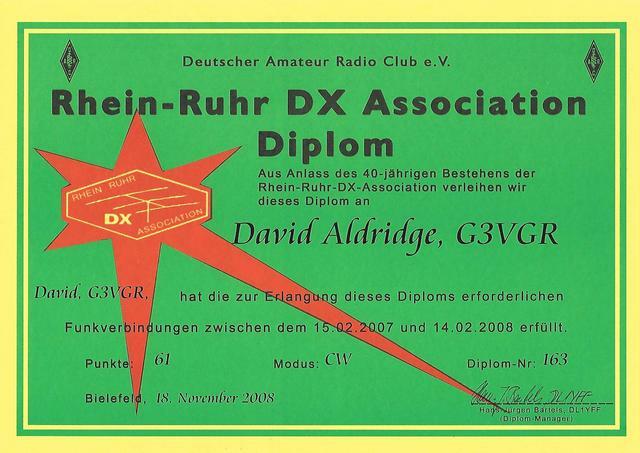 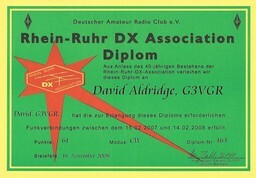 The definitive reference source for awards is provided by K1BV's DX Awards Website. 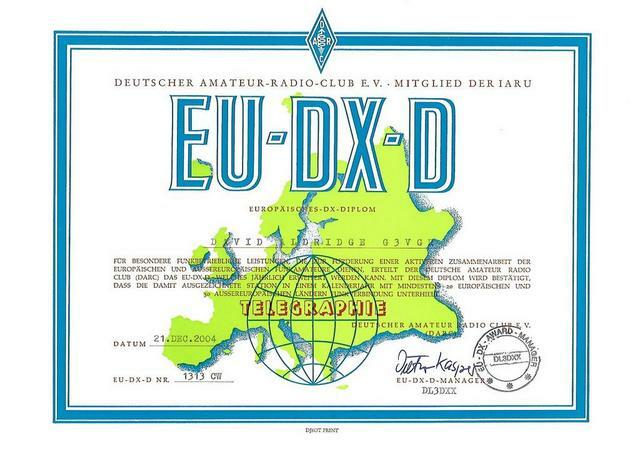 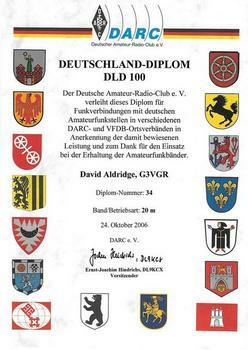 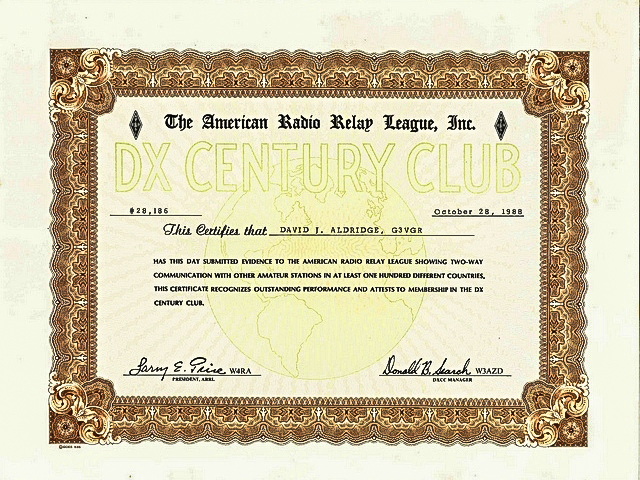 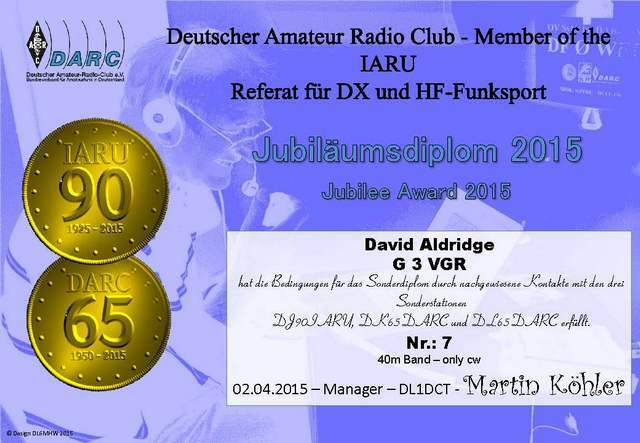 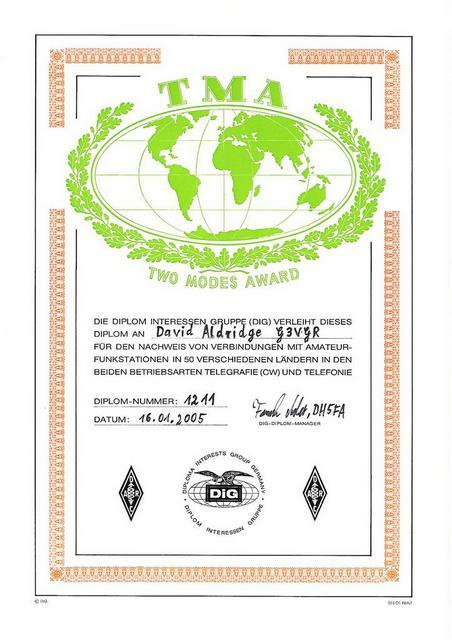 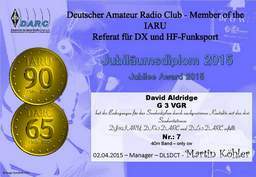 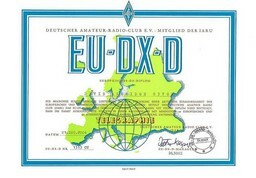 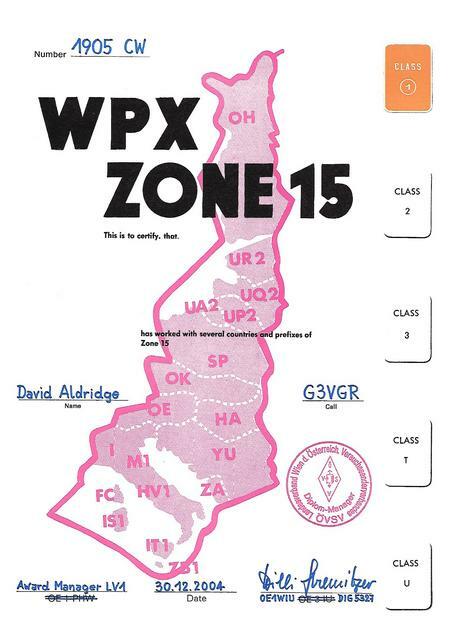 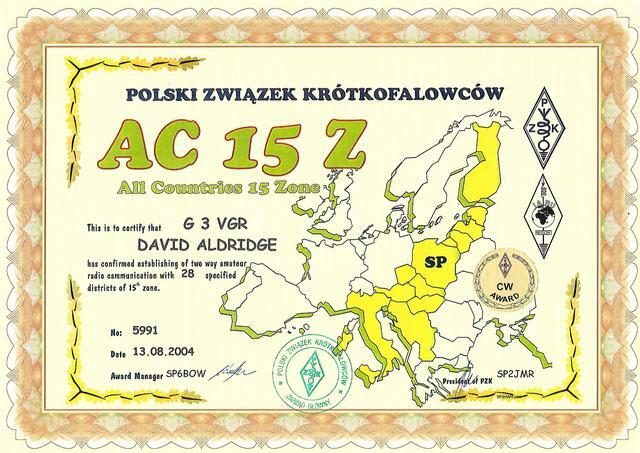 Ted has details and rules for over 3500 awards from over 100 different DXCC countries. 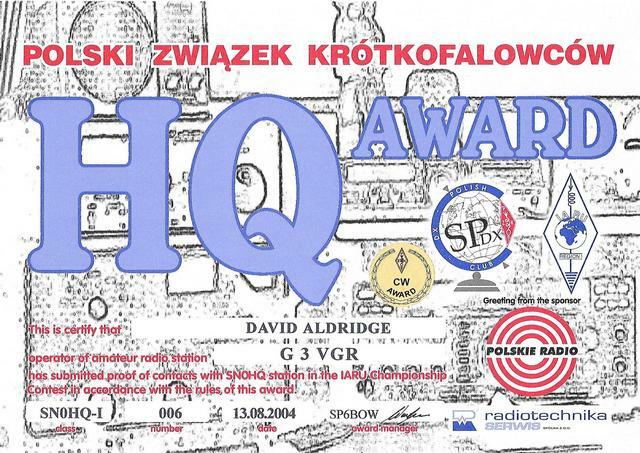 Here are many of my awards.